Please welcome author, friend and fellow animal nut, Jenn J McLeod, to Pilyara on this Easter Sunday. Her wonderful new novel, Season Of Shadow And Light, is coming out on May 1st. What a luminous cover! I was lucky enough to receive an advance copy and can tell you that readers are in for a real treat. Such a multi-layered, thought-provoking story about the best and worst of families, and it also features a horse! Over to you Jenn! ‘We share so much more than a great name, Jen. For a start, we both love animals—all animals—and we hate seeing them neglected and mistreated. If I had to pick a favourite animal it would definitely be dogs. And I know you love dogs. But I REALLY, really, really love dogs. Every day when I wake up and my old (now blind) rescue baby is at the foot of the bed (staring and telling me to get up) I feel blessed and lucky to have her in my life, even though her vet bills are now slowly siphoning away my retirement savings! I love dogs so much I wanted to feature one in a novel. So, the original Season of Shadow and Light plot featured a mangy mutt as the star of the story. That was until I started researching the world of animals as therapy and developed a fascination for the human/horse connection. Around the same time (coincidental or karma) I discovered a very personal horse-related project to test out a few theories—and it was almost next door to where I lived. Looking at the final cover for Season of Shadow and Light, I hardly have to tell you that the horse theme, and not the mangy mutt, won in the end. My love of horses goes way back to when, as a young child, my Dad (a NSW Police Bandsman) would take me to the Sydney Royal Easter Show. He’d leave me in my special seat (ie in the horse float and hay stores area under the grandstand) to watch the NSW Police Band do a special performance called, The Musical Ride, in which the mounted police and the brass band would do a choreographed marching routine that weaved between the horses. When they finished several routines, the horses would return to the staging area while the band played on. It was all very thrilling—until the unthinkable happened. One day a horse ate the buttons off my shirt! For some reason that incident traumatised me. I remember the moment as though it was yesterday—and as clearly as I remember the shirt that buttoned up at the back with little pearl buttons. After that incident, I still loved watching my Dad in The Musical Ride performance, and I still loved horses, but I couldn’t get up close to a horse any more. For years I was like a person who loves the beach but can’t be in the sun. In saying that, just as the might of the sea can still spellbind an observer, I remained awestruck by the magnificence of a horse. I have since reconnected with horses and made a horse friend—all thanks to my research for Season of Shadow and Light. Readers of Simmering Season might recall Maggie visiting an old horse that stood alone in a paddock in all weather—neglected, with no shelter, it’s blanket tatty and torn. There’s a bit of me in those scenes as it was a real horse that inspired that equine character. On my morning walk I would stop and chat to a lonely, neglected, nippy old horse being agisted on a nearby property. (Neighbourhood goss suggested the owner was not a local, nor a rider any more due to declining health.) Initially I called the horse, Ed (yes, the talking horse) and over a time (carrots helped) he let me get closer. With trust and loyalty as the main theme throughout this novel I think it’s fitting that a horse be featured. Humans can learn a lot about both those qualities from horses (and from dogs). Animals put their trust in humans and I don’t think there’s anything sadder than a neglected animal. I do hope readers of Season of Shadow and Light will excuse my mini soapbox moment when I bang on about some animals being a life-long commitment, and with horses that life can be a very be long time. And look out for my tribute to Nevaeh. With early reader reviews already in like this one “Jenn J McLeod is an author for all seasons . . . and all readers.” Shelleyrae, wwwbookdout.wordpress.com, I am super excited about this story of secrets and love, of family loyalty, and of trust—the kind that takes years to build but only seconds to wash away. 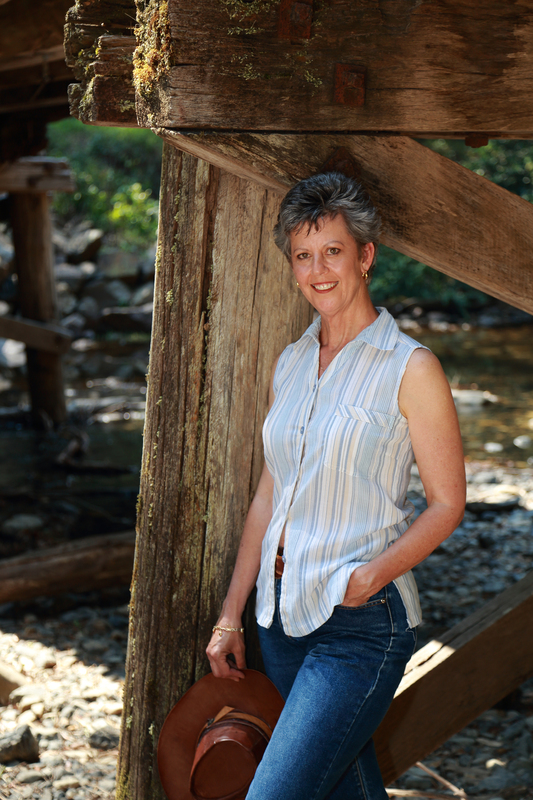 If you’d like to find out more about Jenn and her contemporary women’s fiction about small towns keeping big secrets, head on over to her website or, like me, follow the Facebook and Twitter fun. And now to announce the winners in my Turtle Reef prize draw! So many books to giveaway today :). Congratulations to Karla Oleinikoff and Kim Foster. I’ll email you soon for your postal address. Many thanks to all who left comments. ‘Thanks for having me Jen. I just finished a fun interview for the Sweet Escape website. It’s a confession really – about how authors fall in love with their fictional characters. As a writer of fiction, I get to play around with features, quirks and characteristics all the time – a bit like a Mr Potato Head (only more attractive!) or maybe a Police Identity-sketch kit (only not so creepy!) As a pantster (the industry term for writing by the seat of one’s pants rather than plotting) I sit at my desk and let the story take me on a journey. Then, along the way, I fall in love with my conflicted characters – the good, the bad and the flawed. Just like a Mr Potato Head can never be George Clooney, made-up people don’t need to be perfect either. As one of my characters says in House for all Seasons, “I’m a flawed person trying to be good”, and I think it’s the ‘do good’ rather than the ‘be perfect’ that makes a person beautiful. So yes, flawed characters make for a more authentic story, and readers relate to authenticity. They expect it from their authors. My approach to inventing fictional settings for my small town stories also involves a kind of morphing of favourite features. Four small NSW towns influenced the Calingarry Crossing township in House for all Seasons: Sawtell, Bellingen, Bowraville and Ulmarra – only I plonked it just west of the Great Divide. I admit to loving a small town setting because small towns provide the perfect stage for conflict and drama – mostly because everything seems amplified and more personal in a small town. I also enjoy debunking small town generalisations. For a start, ‘small town’ in no way means small-minded. And there are other perceptions – namely that people in small towns are laid-back, open and friendly (almost cliched). But underneath they can be quite insular, cliquey, wary – especially of newcomers. I think balance is the key. When it was time to type the words the end on my latest release, House for all Seasons, I struggled to let go. I’d fallen in love with my made-up town and wasn’t ready to leave. So, although I didn’t intend linking novels, next year’s release – The Simmering Season – picks up secondary threads, weaving them into a school reunion story with a difference; one that brings home more than memories for Calingarry Crossing’s publican, Maggie Lindeman. With some terrific reviews for House for all Seasons, there is a recurrent comment about both my characters and setting – they are authentic. Authenticity is what my publisher said made her fall in love with House for all Seasons. The secret for me is writing what I know. I moved to a small town, many years ago now, where knowing everyone in town is comforting – until there’s a secret you want to keep! I remember those early days of my tree-change when I moved from Sydney to buy a small cafe in a small country town. Such mixed emotions: excited, terrified—humbled by the wonderful welcome of a very friendly community. It was like coming home. ‘Coming home’ has provided me with an author platform from which to create and promote my small town stories like House for all Seasons: In a country house surrounded by the past, four friends will discover… small towns can keep big secrets. House for all Seasons is a story about coming home and of country roots that run deep. In order to claim an unexpected inheritance – the century-old Dandelion House on the outskirts of Calingarry Crossing – four estranged school friends return to their hometown after twenty years and stay a season each to fulfil the wishes of their benefactor, Gypsy. Caitlin, a third generation doctor frustrated by a controlling family and her flat-lining life. 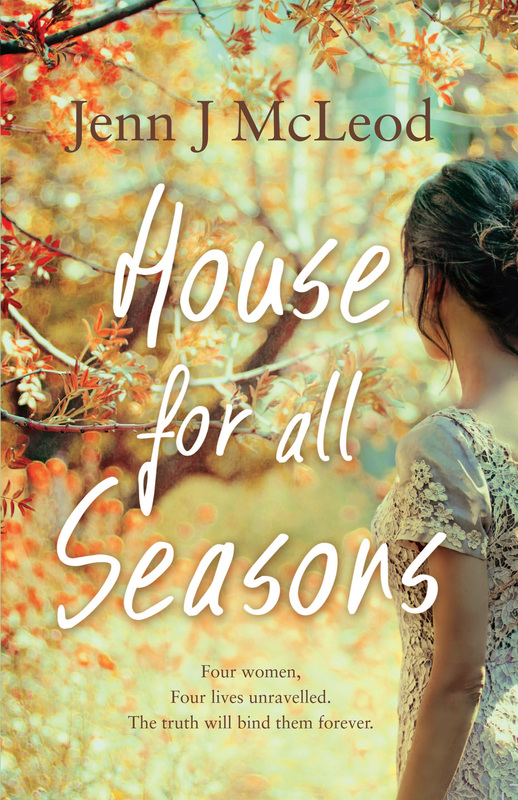 House for all Seasons is a story of unravelling friendships and of ties that will forever bind four women to each other and to the century-old Dandelion house. There are such fabulous town names in Australia. Not until I started coming up with names (checking them in Google to see if they already existed) did I discover some beauties, like the NSW town called Willow Tree. Isn’t that lovely? Thanks Jenn, for a fascinating post! I know a lot of people, including me, are looking forward to your next release. Don’t forget that in honour of Aussie Author month I’m giving away two of my books (Brumby’s Run and Wasp Season; see previous post). To go into the draw, just leave a comment saying why you love Aussie stories. Winners announced 30th April.